Absolutely adorable 3BR, 3BA home with private heated pool. Granite countertops and beautiful tile backsplash in kitchen with stainless steel appliances and well-stocked utensils. Bright and open living space with lots of extra details. Living area has a large flat-panel television with wireless internet access, DVD player, Netflix .There are flat screen televisions in each bedroom. The private pool has plenty of lounge chairs, dining table, outside shower, and lush landscape to make it a perfect oasis! Heat the pool October - May for only $75/day. Short stroll to the beach access street located on Goldsboro. Central heat and air, hardwood floors, ceiling fans throughout, microwave, dishwasher, washer/dryer,4 DVD players, board games. Sleeps 8 comfortably. Bedding: King, King, Queen, and Queen sleeper sofa in living room. Elevator lift available upon request. Great home for two families or three couples. All bed and bath linens are included with your stay. 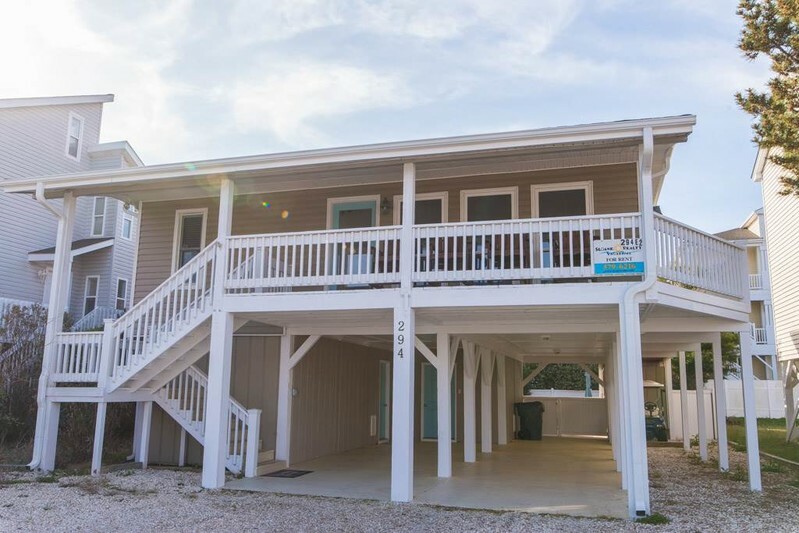 The perfect place for a great vacation at Ocean Isle Beach! We thoroughly enjoyed this house--the pool especially! Best equipped kitchen in OIB!! We hope to return to this property again. We loved the house...perfect for our family vacation! OIB was our vacation spot when our children were growing up...and we still love it!!! Great memories!